Jennifer Aniston And Justin Theroux’s Fate Uncertain – 5 Jen Facts To Help Us Forget About Her Relationship Drama! Fact 1: Telly Savalas, the bald actor with a lollipop that portrayed Kojak for so many years, was actually Jennifer’s Godfather. Unfortunately, he passed away back in January of 1994. His character was a mainstay of 70s television and he starred on many shows of the era. Fact 2: Interestingly, Jennifer was asked to originally audition for the role of Monica on her hit television show Friends. She refused and instead became the slightly quirky, originally snobbish Rachel Green instead. It is hard to imagine Jennifer as Monica now but it is fun to try. What if Monica had ended up as Rachel and vice versa? Fact 3: Jennifer Aniston was a classmate of Chaz Bono. Bono is the daughter of Sonny and Cher of television and music fame. Bono was in the news over the last few years for her decision to live as a man. Her father Sonny Bono was tragically killed in a skiing accident in 1998. Fact 4: Aniston was originally trying to get on with the Saturday Night Live regular cast. She ended up getting her role with Friends and probably is quite glad that she did. In one season, she was making over a million dollars per episode for her success on Friends. Aniston then went on to command anywhere from 8-10 million dollars per movie role as well over the years. I would say that things turned out well. Fact 5: Another close call for her was her consideration for the role of Rose in the movie Titanic opposite Leonardo DiCaprio. It is very hard to imagine her in this role and particularly as a love interest of the young looking Leonardo at that time. Still, her career could have taken a very different turn had she gotten that role. Despite this, Aniston has gone on to become one of the most popular and respected ladies in Hollywood. Jennifer Aniston Too Stubborn to Make Changes to Her Life: Marriage to Justin Theroux Stalled Indefinitely? 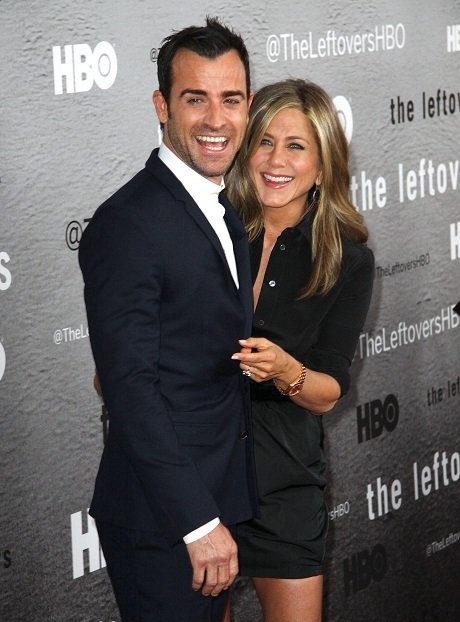 Jennifer Aniston and Justin Theroux Wedding Date Set – Jennifer Lays Down The Law!